While investor funds in Europe are abundant, lack of growth at home is making them look overseas for the most profitable use of their money. 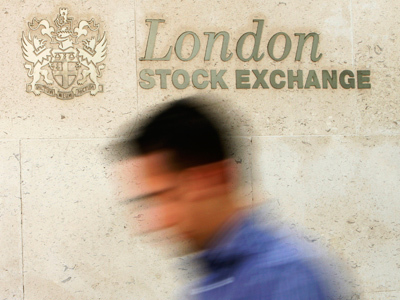 Here Russia comes as the best fit, Xavier Rolet, chief of the London Stock Exchange (LSE) told Business RT. “Europe today still has a lot of capital, certainly in the private sector. $3 trillion of equity assets managed in London alone,” Rolet specified. This is far above the needs of capital investment in Russian companies, Rolet went on. In 2010 the Russian economy performed much better than most of western economies. Its GDP was up 4% compared to 1.5% growth in the euro area. Tuesday’s OECD economic forecast said even tougher times are ahead for the monetary union members, while Russia’s future seems to look brighter. The organization worsened its forecast for the euro area to a 0.2% contraction from the previously expected 0.2% growth. In Russia, the GDP is expected to speed up, growing 4.5%, according to the OECD. Given the improvement in the overall market environment, as well as better public finances, money may start flowing into Russia as soon as the second half of 2012, Rolet concluded.